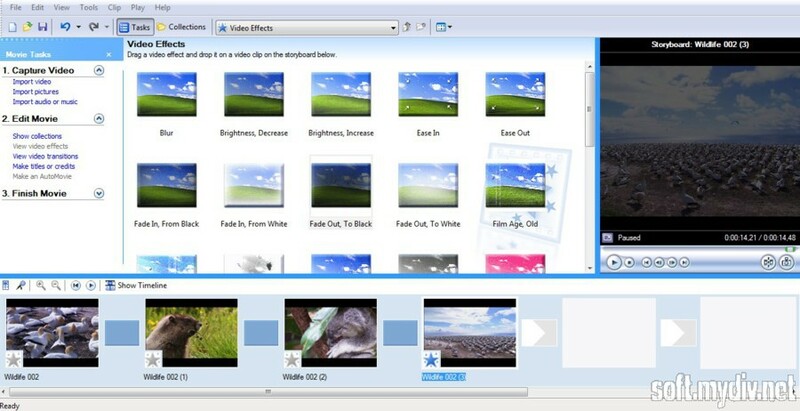 Windows Movie Maker is a simple program for home editing. It’s not a professional tool as Adobe Premiere. But it can be a good instrument for those who just want to create a short clip or make home editing without masks, filters, and other advanced features. 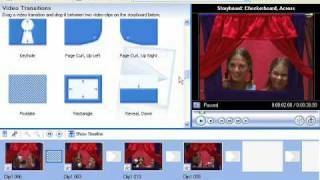 You can use standard video transitions and integral video effects. There is also title editor, where you can set different types of animation, a color of the font, transparency, background and other things. To start working with the editor, you should create a new project and import your video files. 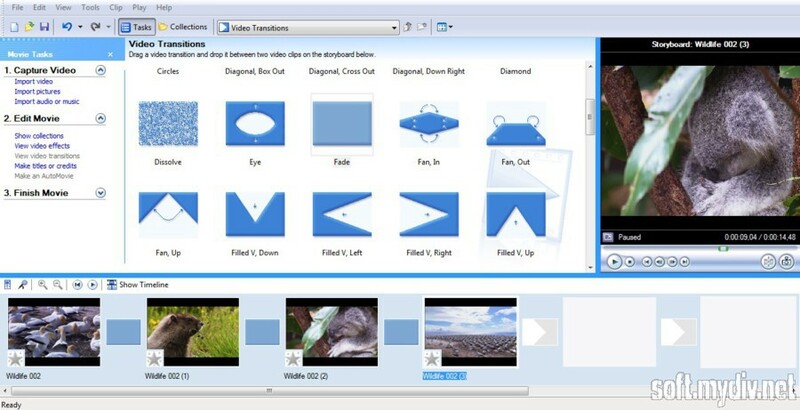 Video collection tab will help you to sort different types of files. If you want to cut video fragment, then you should choose start/end trim points in Clip menu or push up the "Split the clip" button to get 2 fragments. You can also take a picture of any frame by special option. Then drag video fragments on project storyboard and lay on transitions or effects between video rectangles. You can always switch between timeline and storyboard modes to see video and audio tracks. 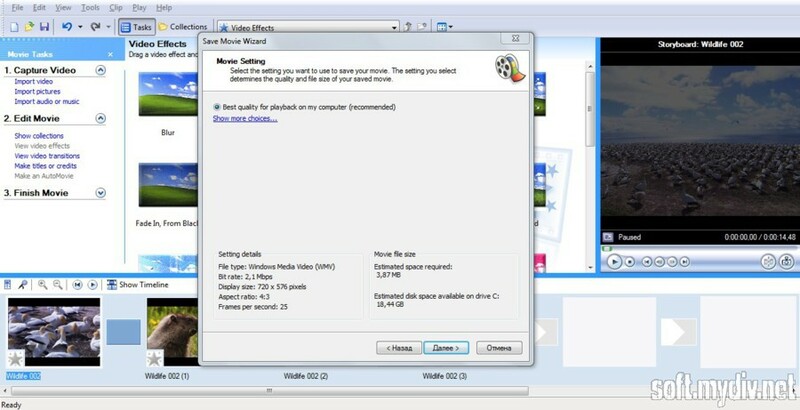 Movie Maker 2.6 is the last version of the program for Windows Vista and Windows 7. Microsoft doesn’t support their old video editor anymore. All efforts of developers were redirected to Windows Live Studio. They presented this digital product as refined Movie Maker. Microsoft had created a really good tool for those, who don’t like complex video editors with multiple settings and parameters. It’s free and usable for everyone. If you need to make a short video clip (or presentation), add titles on film or cut out redundant frames, you should install this program. A wide range of video effects and transitions. Simple editing via timeline and storyboard. Capturing and editing video for YouTube. 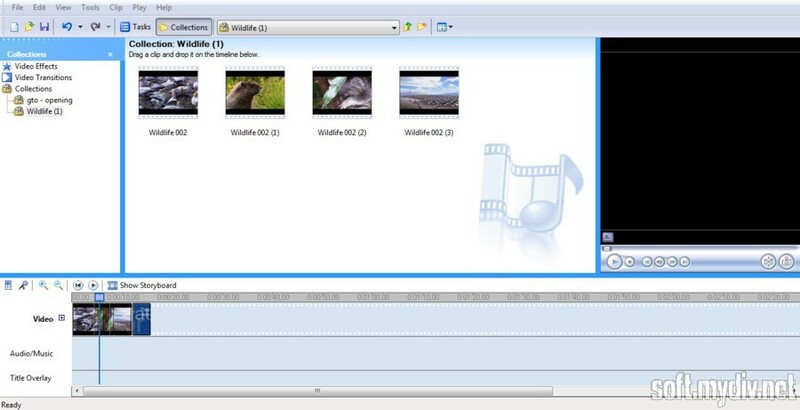 The collection of video editing tools that can be used for making video clips. This is a list of web camera software that can help you to make recordings. The collection of utilities that can help you to make videos from pictures.